Are you a baseball fan that enjoy listening to baseball on the radio, but can’t seem to get good reception? Or perhaps you just prefer to listen at your computer while doing work? With MLB Gameday Audio you can listen to every single Major league Baseball game live online, and best of all, there are no blackout restrictions. A full season subscription is $19.99 and includes all regular season, post-season, and select Spring Training games. You can also choose home or away broadcasts (when available), and all games are archived so you can listen on demand if you miss a game. Sign up for MLB Gameday Audio at MLB.com. If you also want to Watch MLB online – Click here to Sign up for MLB.tv! 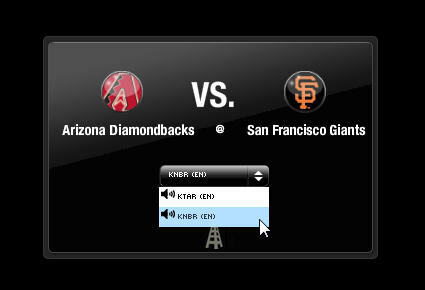 With either MLB.TV subscription package ($99 Standard or $119 for Premium), you also get the MLB Gameday Audio.